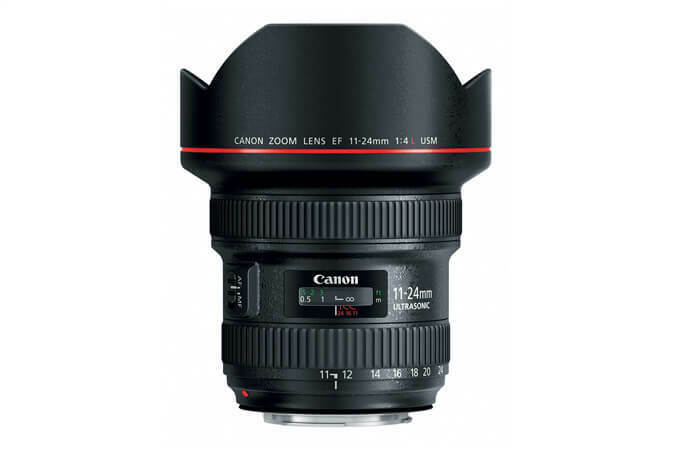 Canon&apos;s new EF11-24mm f/4L USM is an ultra wide-angle zoom lens, starting at 11 mm, the widest angle in it class and an f/4L zoom lens with the high image quality appropriate for L lenses. With other features such as special lens and coatings built in it, ghosting and distortions are well controlled. As the result, the EF11-24mm f/4L USM creates surreal images with clarity and widest angle. 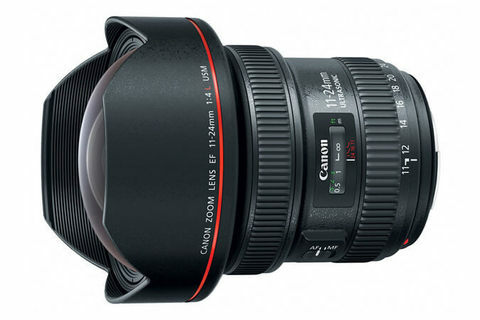 Effective arrangement of the four aspherical lenses resulted in proper correction of distortion across all zoom range. Max. diameter x length, weight: ø 108.0 x 132.0 mm, 1180 g/ 4.3” x 5.2”, 41.6 oz.